Like St Therese of Lisieux, some aspects of modern piety does a great disservice to Francis, presenting him mainly as a type of medieval environmentalist and peace activist, and downplaying other aspects of his character. Sanctity is always well balanced. It calls us to love justice and peace AND to hate vice and overcome it; it calls us to respect animals and the environment AND to radical conversion and serious apostolate. One of the pivotal moments of St Francis’ life was when he heard Christ calling to him to rebuild the Church which was falling into ruin. The Church faces ruin in every age, and always from the same sources – the compromises and unfaithfulness of Her members. 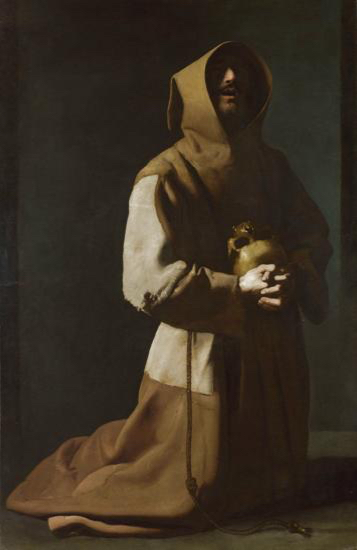 St Francis’ remedy was the hard and heroic route of personal reform. His example changed the face of the earth and bequeathed numerous saints to the Church.